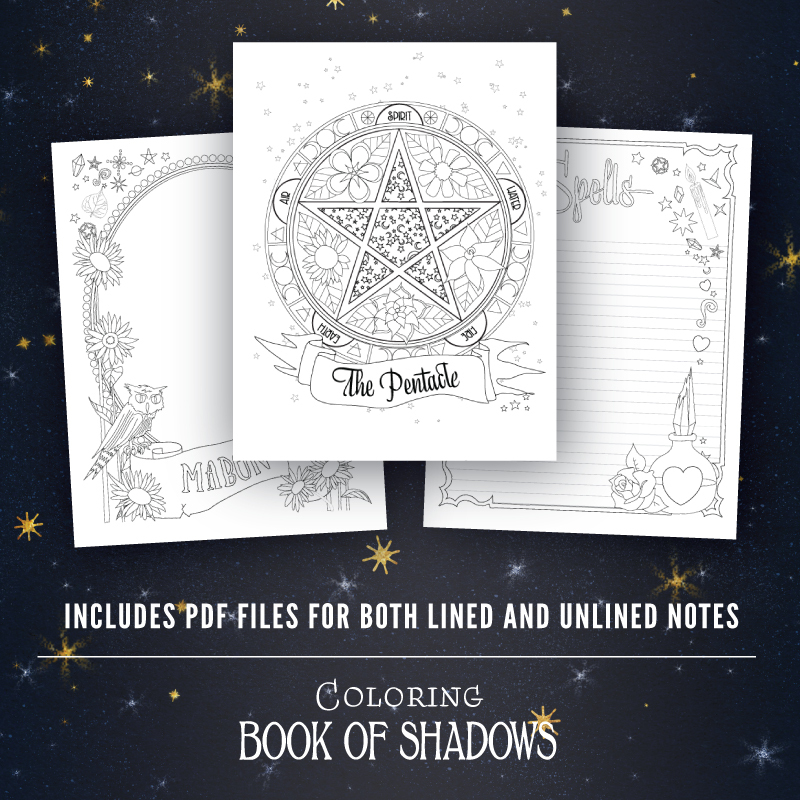 GET INSPIRED AND WRITE YOUR BOOK OF SHADOWS! 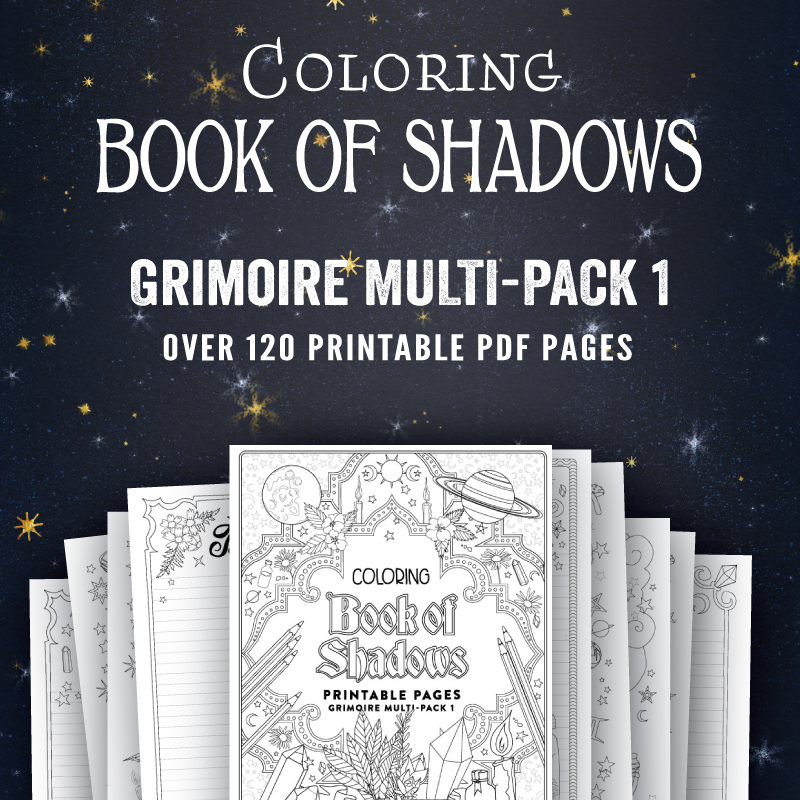 Write your own Grimoire and unlock your magic thru writing, coloring, creation, and reflection. 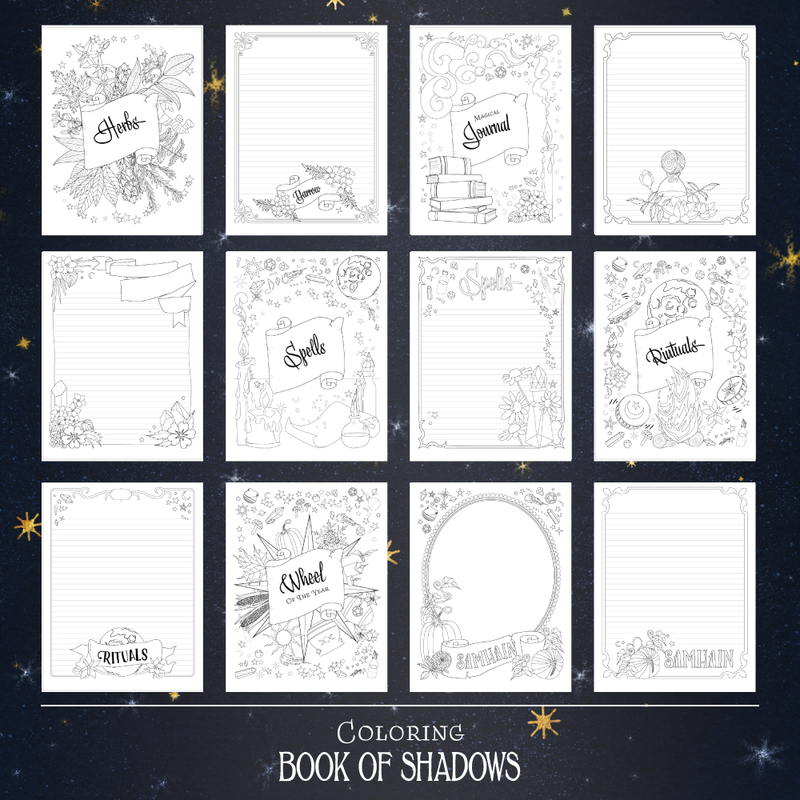 WANT TO CREATE YOUR OWN BOOK OF SHADOWS? 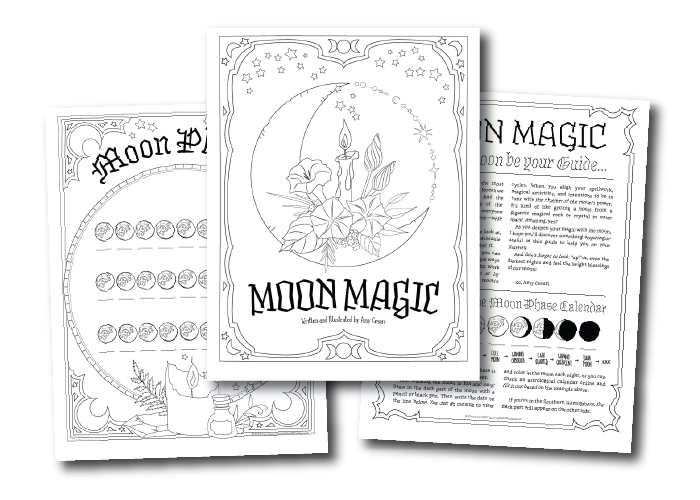 These printable coloring pages are a magical way to follow that path. 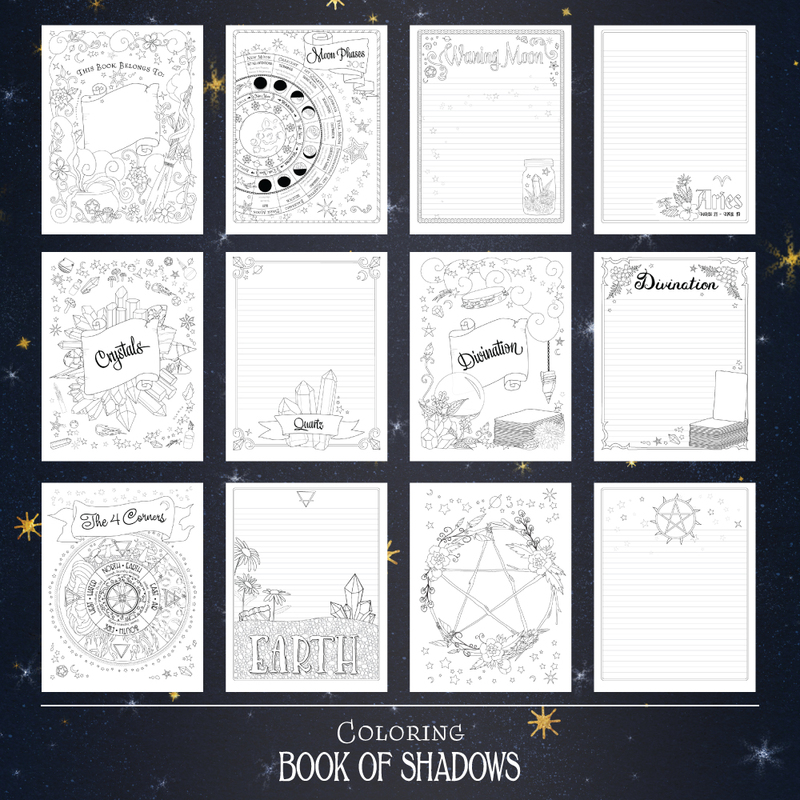 Designed so you’ll be organized and inspired to write your own Grimoire, you’ll find plenty of space to color, write, collect your favorite spells, record your traditions, and unlock your magic. The best deal! 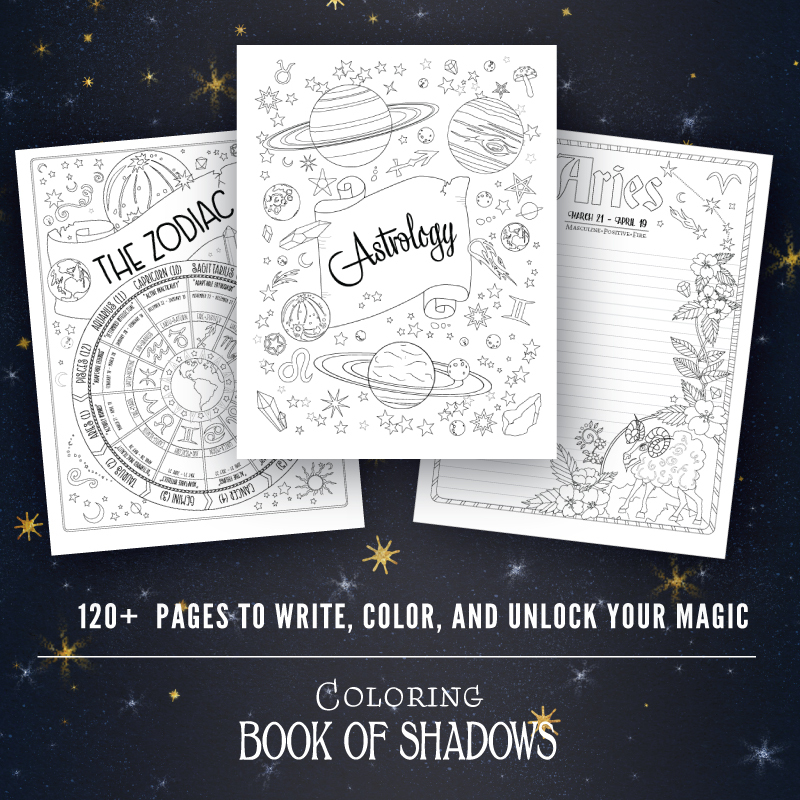 Just $21, get pages worth over $50 if purchased separately.